Jack Prince Joins The Storm! SEASON TICKETS: The Go Goodwins Coaches sponsored Manchester Storm are pleased to announce that season tickets for the 2016/17 Elite Ice Hockey League season are now available to purchase. Season Tickets can be ordered online by clicking here, by calling the box office on 0161 926 8782, or in person at the box office. 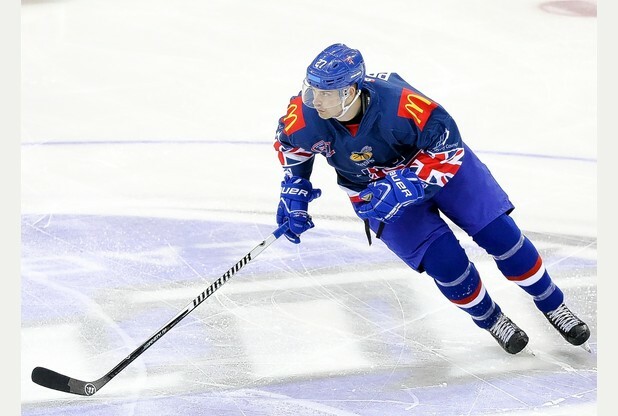 The Manchester Storm are extremely excited to announce the signing of GB forward Jack Prince. The British native has played the last four years in the NCAA Division 1 with the University of Alabama-Huntsville. The 2016/2017 season will be Prince’s first season playing professionally in the Elite League. “Jack is a player that I had earmarked from early on as a someone I wanted here in Manchester. He works hard every single night, has good size and is responsible defensively. All the reports I have received on Jack have been incredibly positive, he will buy in here in Manchester, is a superb teammate, good around the net and is not afraid to go to the hard areas to get those hard goals. I’m delighted to have Jack in Manchester for next season.